Ever since rumors first emerged that Apple was set to buy Beats for a reported $3 billion, most observers have been trying to make sense of the move, and what it means for the future of both companies. While Apple has a history of acquiring cutting-edge tech outfits, it's never gone the route of the billion-dollar takeover. 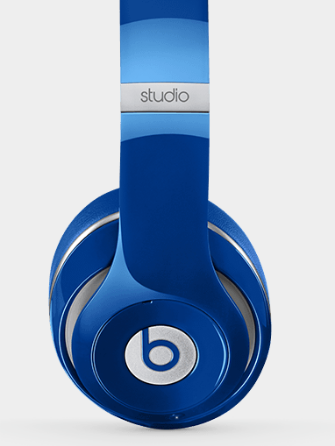 So, what was it about Beats that Apple just had to have? Now that the sale is official, Apple CEO Tim Cook is opening up about why the move makes perfect sense. Cook sat down with re/code on Wednesday, where he was joined by Beats founders Jimmy Iovine and Dr. Dre, to discuss the impetus behind the landmark acquisition. "This is all about music, and we’ve always viewed that music was key to society and culture," Cook said. "We’ve stood at the intersection of technology and the liberal arts. So, I see this right in the — if you were drawing a line, this would be the logical next data point." Cook went on to praise his new colleagues, who he called "people with very rare skills." He'll be counting on those skills to help Apple hold off companies like like Spotify and Pandora, which have each been closing the gap in the race to become the world's music-subscription overlord. "We get a subscription music service that we believe is the first subscription service that really got it right," he said of Beats Music. "They had the insight early on to know how important human curation is. That technology by itself wasn’t enough — that it was the marriage of the two that would really be great and produce a feeling in people that we want to produce."